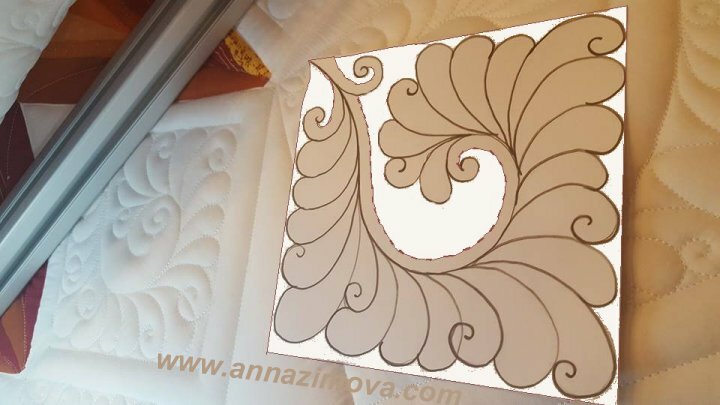 I am learning to work with Bernina Q24 quilting frame. I love quilting. Every new quilt is a great challenge to improve my skills. My goal was to create a whole blanket pattern on a simple background with one color fabric. 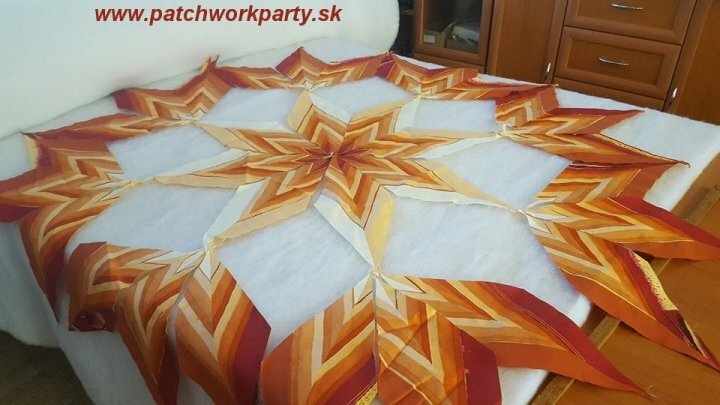 I chose light cream color to support the central patchwork star. 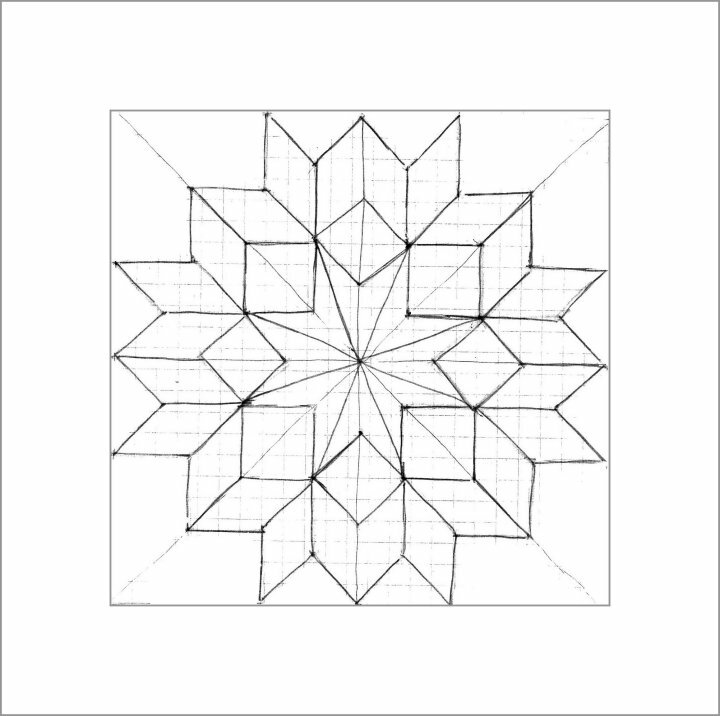 I love drawing, so I created scheme with patchwork star and copied it several times and filled it with quilting ideas. After several attempts with different processing, I decided to add a square embelischment around the circumference. I repeat the pattern, that was already in the middle of star. I chose "wings" for its interior. Hatching seemed to be the best choice for the edges of the blankets, so middle central star had chance to stand out. I did not want to have too much hatching, so I added squares with herts. I omit bordure with smails, because there was not place enough for it. The heart in the blocks should be of the same size and shape - it should be a unifying element.a template of this shape would be ideal for that purpose. 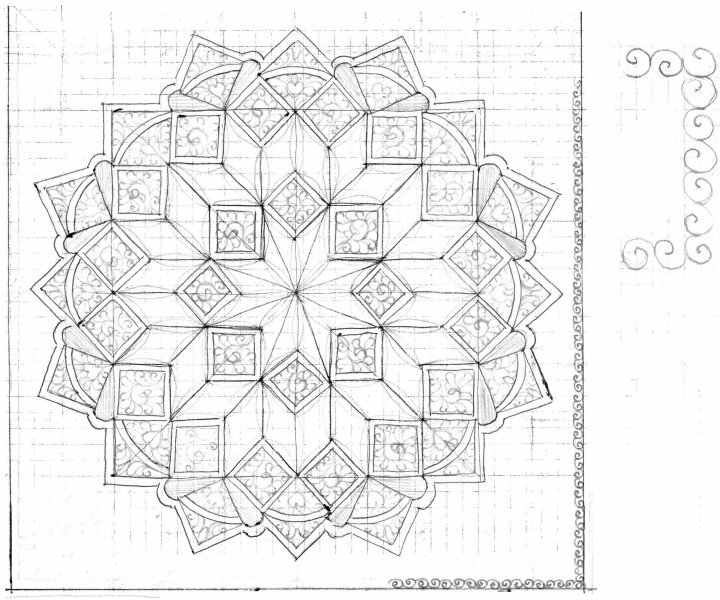 I did not own such a template, so I created one from the drawing and stipple it with help of water soluble pen to the interior of squares. In the same way I marked archs and stright lines on perimeter of squares. 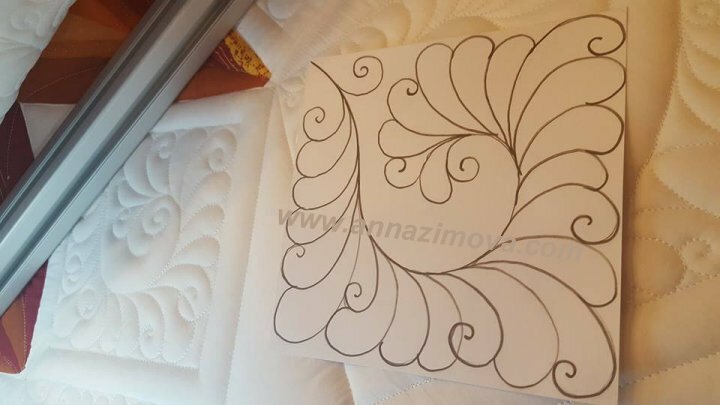 I plan to quilt archs nad stright lines with ruler work Bernina ruler work contains table, foot 96 with high sole and ruler for stright and curved lines. 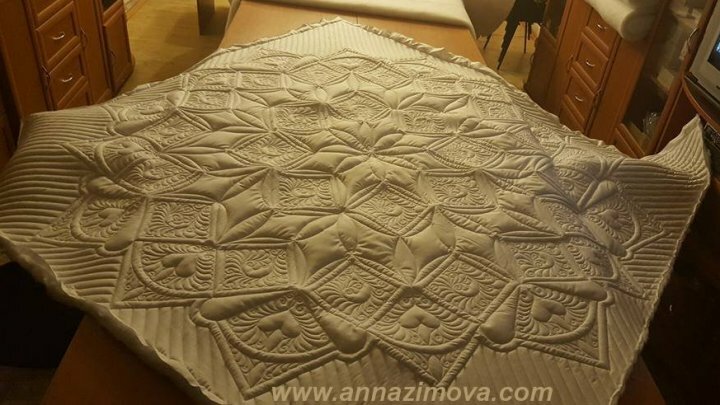 I must not drawn wings - I am albe to quilt it without drawing. The stalk in the center of the square interiour should have the same shape in all surface. I also marked it together with the contours of the squares on a light background. I like quilts that are soft. They should attract with their play of light and shadow, plasticity. 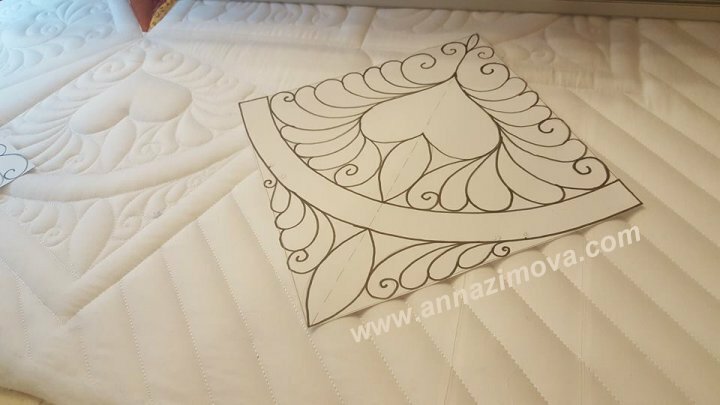 For this purpose I chose wadding with width 235cm and weight 300 gram/ square meter. This wadding is soft, has a health certificate and is wide - I do not have to connect two pieces together to have 235cm. 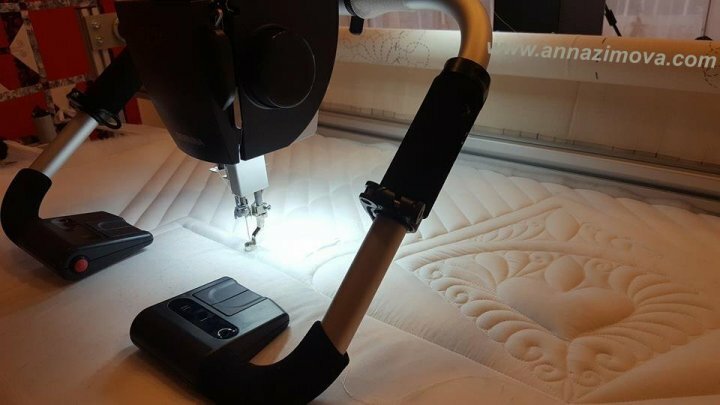 Bernina is a very powerful quilting machine. It does not have any problem with such a big wadding. I chose a high quality, densely woven 100% cotton with a fine "satin" gloss for the back of the blanket. The width of the fabric is 290cm and it is enough for the whole blanket without another ughy connecting stitch. Do you need to be precise? No problem with Bernina palm precision handles. You can change standart handles for microhandles during one minute. They have for programable function and red taste against unintentional startup. Handles are positionable in all directions. 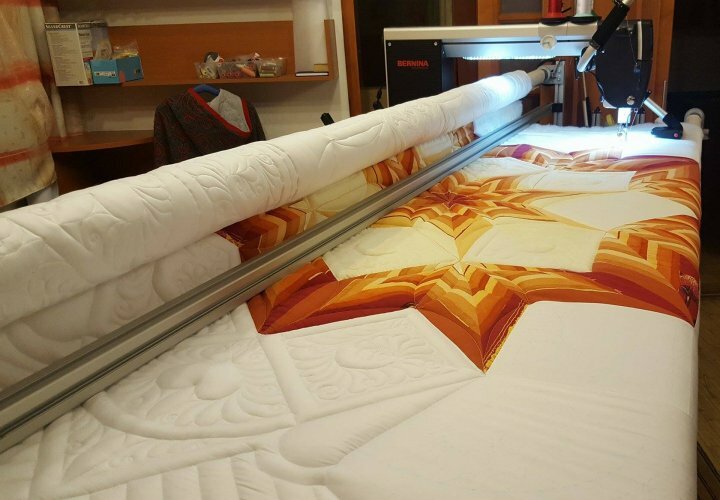 I put them very softly to the surface of the quilt, my palms lay on flat part of handles, index fingers and middle fingers control functions and thumbs red buttnons. Your hands are leaning on the surface of the quilt, and all movements of the needle are perfectly under control. I love them. I LOVE!!! 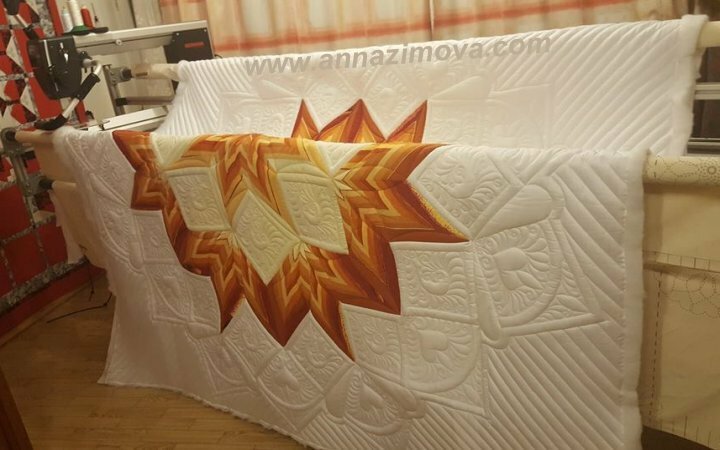 I love moment, when the quilt is ready and I remove it from the frame bars. The rays of the light hit its surface and I am able to see my quilt on the whole. In this moment I am able to verify, if my quilting strategy was correct or not. 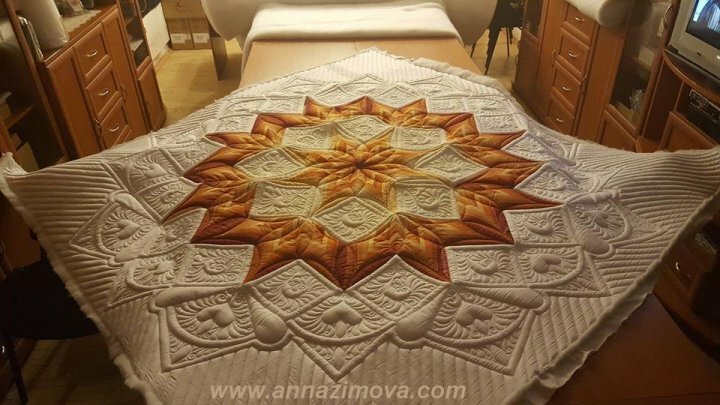 Quilt je veľký... na 150cm široký stôl na nezmestí. Rubová strana je jednofarebná a zdôrazňuje quiltovanie. Z tejto strany patchwork nevidíte - môžete ho iba tušiť. Vnímate len tmavé a svetlé časti deky.... svetlo a tmu. 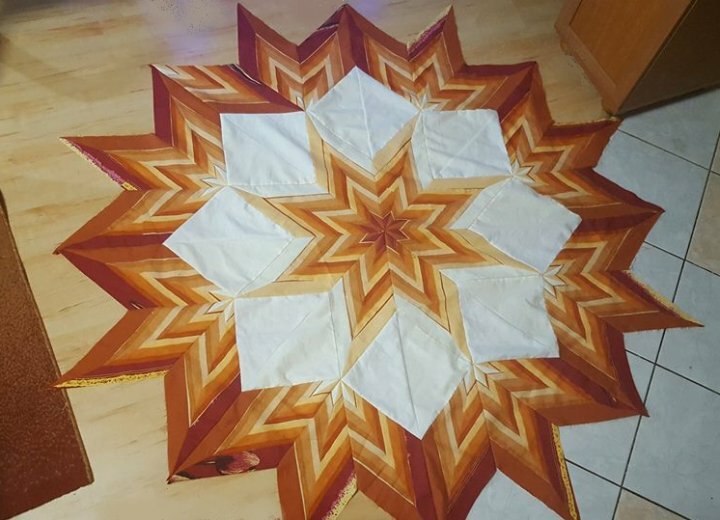 The quilt is spacious - even very big table is not big enough for the whole quilt. The reverse side is unicoloural and emphasizes quilting. You are not able to see patchwork from this side - you can only guess it. You only feel the dark and light parts of the blanket ... the light and the darkness. Right side of patchwork add color to quilting embelischment ... Oj, great surprice! Big flower is located in the middle of star! I love squares with hearts, but squares with stems did not satisfy me. Middle non quilted central parts is similar to strange submarine shellfish. And another question - color or white edge. Which one will you choose? I decided to add second linie to stem in future.